This is only a guide. It is designed to help aid in your decision making process. We hope you find the answer you need in order to find the right products. If you should have further questions, please do not hesitate to contact one of our home theater experts at (408) 293-1330. How do I know what size TV to get? 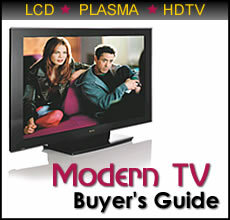 What kinds of TV's are HDTV's? Why do I need an HDMI cable? Is there any HD Programming on TV? Is high quality audio very expensive? Which is better, LCD or Plasma? What is Burn-In, and is that important? This is only a guide, and is designed to help aid in your buying process. We hope you find the answer you need in order to find the right products. Should you have more questions, please contact us. Note: If you sit 8 feet or 96 inches away, your ideal size TV will be around 48 inches give or take. Keep In mind this is only a tool to guage what size TV will give you the best viewing experience. This does not mean that you can not enjoy a smaller size screen. *Remember screen size is measured diagonally. Also keep in mind that when replacing a tube TV with a widescreen TV you will generally need to move up a screen size. High Definition Televisions can be standard direct-view tubes (CRT), slim LCD's and Plasma monitors, rear-projection units or even front projectors that require separate screens. These are all different forms of technology. HDTV simply refers to resolution - the horizontal lines that can be displayed on the screen. In most cases you will know a TV is HDTV by the logo on the front of the TV. An HDMI or High-Definition Multimedia Interface cable sends digital audio & video using one single cable. High Definition Televisions perform their best when using HDMI cables. A Digital Video Recorder is used to save video content from satellites, cable or other sources. Not always. Some very expensive products perform no better than products half their price, while some are worth every penny. It's important to experience a range of products and listen to the advice of experienced dealers. Remember new products come to market every day, experienced dealers tend to stay up to date on the new and exciting ones. No. The FCC has mandated that broadcasts be converted to digital by early 2009. When all broadcasts are digital, manufactures/service provides have agreed to make reasonably priced set-top box converters available to down convert the digital signals to analog, so that they are compatible with analog TV's. Click Here to Learn More Abount the DTV (Digital Television) Transition. No. This is a common misconception today. What most cable companies promote as "Digital Cable" is standard-definition TV broadcast digitally, similar to digital satellite. The resolution is still only a maximum of 480 interlaced lines - nowhere near the quality of HDTV. For HDTV you need both an HD ready TV and the appropriate tuner and service. There really is no right answer here. Although most critics will have an opinion one way or another, the truth is each technology has its place in the market right now. LCD TV’s (Liquid Crystal Displays) are made in a wide range of sizes from 15inch to 65inch. When compared to Plasma TV’s they tend to be a little pricy in the larger sizes. Plasma TV’s are only made in the larger size from 42inch to 63inch. So, if you are looking for a certain size you may only have one choice. If that size happens to be larger you can choose between LCD and Plasma. In which case there are other things to consider. Do you plan on using it as a computer monitor, or for gaming? If so, you may want to consider the LCD. LCD TV’s operate better and display better content for computers and game consoles. If you are a movie buff, like me, you may want to consider the Plasma TV’s. Plasma TV’s are know for display the truest colors. This will give you the best movie watching experience. Bottom line; determine your use for the panel and this will tell you which type to pick. Burn-In is a phenomenon that has occurred since the first picture tube TV came out in the 40’s. Basically when an image is left static on the screen, it is “burnt” into the screen. It used to be that it was permanently burnt into the screen to the point that when the TV was turned off you could still see the outline of what was on the screen. With the invention of LCD TV, burn in was something that was no longer an issue, because of the way it is manufactured. Plasma TV’s on the other hand still had a problem with this occurring, after the first few model years rolled out and the problem was discovered. The manufactures decided to increase the number of panels, thus diminishing the problem. Then they went a step further and put additional measures in place to prevent it from occurring. Features like orbiter and white wash were added to many TV’s. Orbiters, basically takes the pixels and constantly keeps them moving in such a minimal way that it is not visible to the human eye. The white wash is another feature available, as a backup in case temporary burn-in was to occur. The customer would simply engage the white wash feature that would shoot a solid white image across the screen causing all previous content to disappear. Bottom line; burn-in is a thing of the past, no longer an issue when purchasing any new TV, regardless of make or model. Copyright © 2011 Modern TV. All rights reserved.